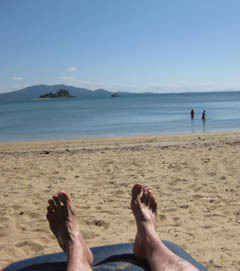 Cheap Tropical Vacation at Top Beaches or Deserted Tropical Islands. 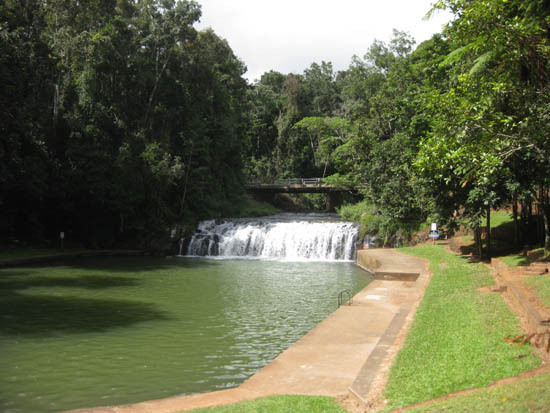 If you are looking for a cheap tropical vacation in the rainforest or at top beaches, even on deserted islands, then rejoice because such a rewarding experience is possible! 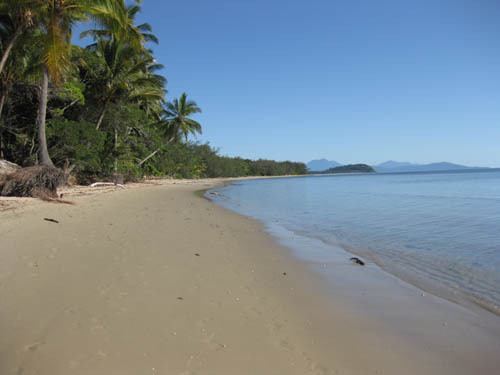 Four Mile Beach, Port Douglas. 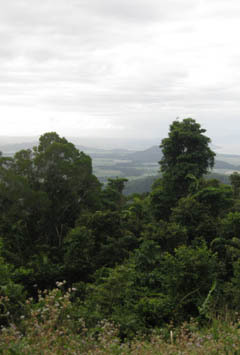 North Queensland has many national parks and most of these allow camping, although you will most likely need to get an inexpensive permit from them first.National parks are situated in various locations - inland, on top beaches or even on deserted tropical islands, so, if you enjoy the great outdoors and are relatively self-sufficient, then you are in for a treat. 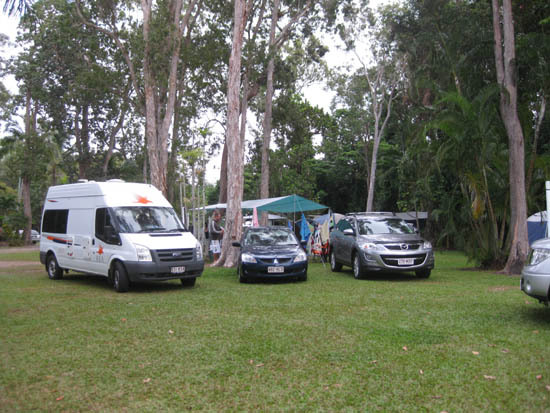 Many caravan parks provide clean and comfortable cabins, mostly with self-contained bathrooms and kitchens. 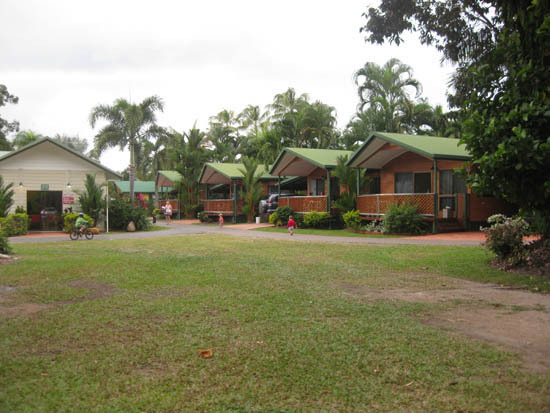 A cheap tropical vacation - popular cabins at Mission Beach. They also have shaded, grassy camping grounds if you wish to pitch a tent or pull up your hired all-mod-cons motorhome. Frequently you will find a communal kitchen with fridge, barbeque and cooking facilities - all included in the nightly tariff. Showers and toilets are conveniently placed and those that I have experienced have been modern and clean. Of course your vacation can be super cheap if you sleep in your van by the side of the road in rest areas, run by local councils. Usually one night only is permitted but that may suit you and they are free. You will also find that some councils have a designated camping area on the outskirts of town, for which a nominal donation is asked. The showers are usually cold water so pick your time of day if, like me, you freeze at the thought! Picnic spot in the mountains. Watch out for signs that say 'No camping' or 'No fires'. Inspectors are out and about and failure to observe the rules will result in a hefty fine. Then there's Bed and Breakfast establishments, their devotees choosing this comfortable, inexpensive and personalised type of accommodation because of kind and helpful hosts, immaculate rooms and delicious food! B and B experiences in Australia are as wide and varied as its long tradition might lead you to expect. Mind you, bed and breakfast accommodation has received something of a mixed "press" over the years. There are those who would never consider staying elsewhere when on holidays as they enjoy the relaxed atmosphere of being a guest in a (new) friend's home. However the detractors of this, usually inexpensive, accommodation point out disadvantages - perhaps a dominant family pet or a host who monopolises guests' time and attention when all they want is peace and quiet! With stringent new regulations and a change in attitudes, this convenient B and B experience has become the cheap tropical vacation accommodation choice for many. Having stayed with Frieda and Colin at Port Douglas Bed and Breakfast in Port Douglas I would thoroughly recommend it for a quiet and convenient place to come home to after a busy day spent sight-seeing. It's also so easy to hop out of bed in the morning and onto the beach - sometimes just you and the birds - before you relax over a delicious breakfast with tropical fruits, enjoyed in their courtyard garden.